As the attorney overseeing litigation support and electronic discovery at Greensfelder, Julia Voss understands the importance of appropriately handling electronically stored information and using technology to add value to a document review. Julia’s involvement with e-Discovery began more than a decade ago, when she was defending an antitrust case for a client in the oil industry. The case involved millions of documents with document custodians in international locations. Through that case, Julia learned to navigate the then-new world of e-Discovery. Since then, she has given numerous seminars to clients, lawyers, judges and law students on electronic discovery and kept other Greensfelder attorneys up to date on changes in the law. She is also a Certified Relativity Review Specialist. As the firm’s director of e-Discovery, Julia consults with other attorneys and clients regarding preservation of electronically stored information (ESI), discovery protocols, defensible document collection and streamlined and accurate reviews and production. She is also available to help prepare witnesses for depositions on discovery issues. 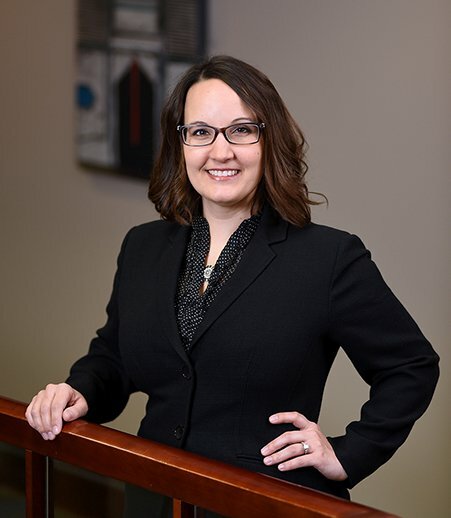 She is a certified neutral with the Eastern District of Missouri and is qualified to serve as a mediator or early neutral evaluator for e-Discovery disputes or other litigation matters. In her role as director of litigation support, Julia’s goals are to help lower the costs of electronic discovery for clients by using state-of-the-art technology for effective document reviews and to keep even the most voluminous records organized and useful for the case team. She oversees two case managers, data processors and the firm’s managed services agreement with Epiq, as well as managing the firm’s other vendor relationships to ensure clients have access to technology that will enable the legal team to focus on what is important – the facts of the case. In her life before e-Discovery, Julia’s work included trusts and estates litigation and defending actions involving consumer fraud, contract and pricing disputes, Robinson-Patman Act claims, claims related to state motor fuel statutes and franchise and PMPA issues. In addition, she oversaw a program to help refiners recover money owed by customers for unpaid fuel invoices and unamortized incentive funds. "E-Discovery in the Age of the Mass Tort"
"e-Discovery: What You Didn't Learn in Law School"
"Avoiding Electronic Document Retention Pitfalls"
"Electronic Information in the Workplace: Problems and Solutions"
"Electronic Discovery: Litigation in a Computer-Dominated Society"
"Document Review in the Digital Age"
"Do You Accept Bitcoin? Lawyers, beware of accepting Bitcoin as payment for legal fees." "Failing to Plan is Planning to Fail: Guide to Practical e-Discovery"
"How Advances in Technology Affect Litigation Obligations and What Your Company Must Do to Avoid an Electronic Document Production Disaster"
"Top Ten Things to Remember when Reviewing Your Document Retention Policy"